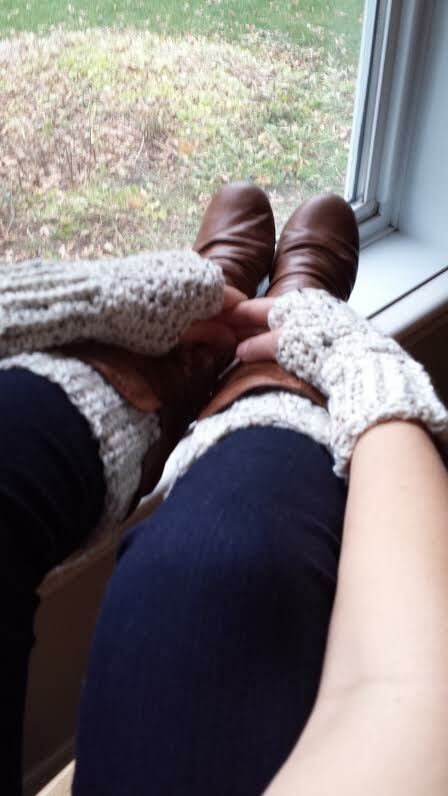 I became bored trying to crochet 8 identical sets of boot cuffs and fingerless mitts for my 6 daughters and 2 daughter-in-laws so I started combining yarn and crocheting with two strands of yarn and a 9m or I hook. I love the different looks and textures as well as the fact that they work up so quickly. The bottom two are plain grey and a flecked beige, but the others are a result of black or grey combined with a variegated black/ dove grey/light grey yarn. 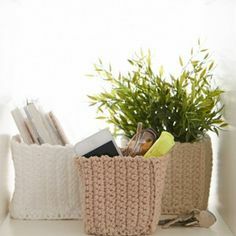 The cuff is simply created by only crocheting in the back loops. some cuffs are plain double crochet, others use a variation of a single crochet stitch and a chain which I found in a free pattern on Ravelry. This pattern is a great guide for making boot cuffs and fingerless mitts.